Until we meet again, Speed51 wishes you a happy holiday season. Enjoy this special time of year with your family and loved ones and Speed51 will be hard at work covering 2015 races before you know it. Today’s Trackside Now coverage of the 47th Annual Snowball Derby at Five Flags Speedway is presented by PFC Brakes in Clover, SC. Performance Friction Brakes has passion in their products. They strive to deliver innovative products to the market that outperforms the competitors and all preceding products. They carry a variety of motorsports, aftermarket, armored vehicles, fleet, off highway, motorcycle, original equipment parts and more. Click here for more information. 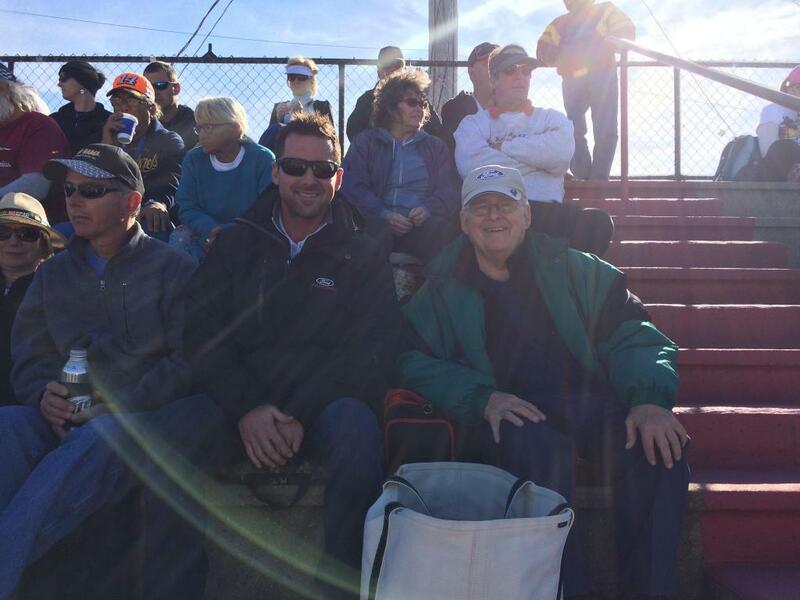 Today's coverage of the 47th Annual Snowball Derby at Five Flags Speedway is presented by JOES Racing Products. Based in Everett, Washington, JOES Racing Products was started in 1989 by racer Joe Constance, for racers. Our company reflects an extension of the Constance Racing Family with racers on our staff that are competitive and know quality parts and why they work well. Check out their variety of products available for racers today. Click here to find a dealer near you today! 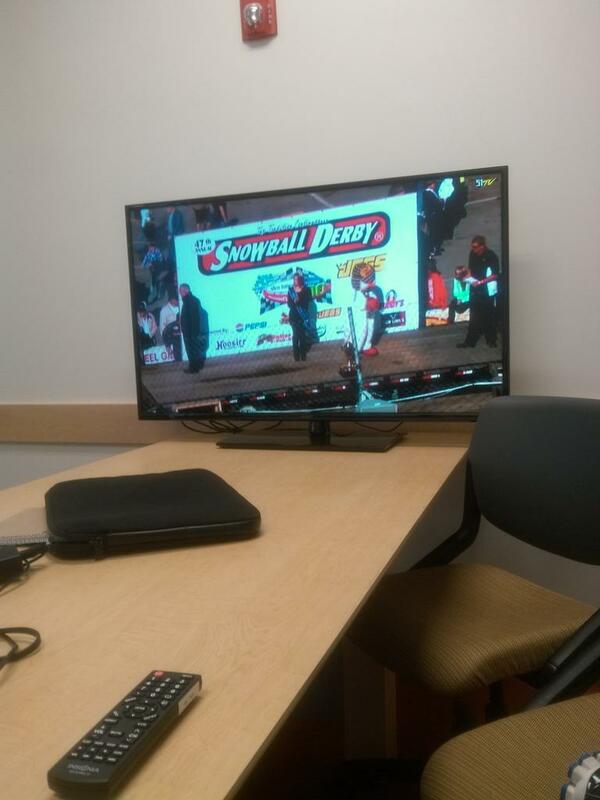 That will do it from the Snowball Derby for Speed51.com. We are posting a story on Speed51 shortly and will have more coverage - photo galleries, a winner's interview, and a leftovers packet - next week. Five Star Race Car Bodies presents the daily Five Star Tested Tough Award during the Snowball Derby coverage on Speed51.com. These awards go to the driver who overcomes the most adversity and shows their toughness above the rest. Each day's award leads up to Sunday's Hal Goodson Award, which 51 originated when that driver finished the Snowball Derby with a torn-up racecar. Saturday's Tested Tough driver was Garrett Jones. Jones needed a points provisional to make the Snowflake 100 field, but he rocketed through the field in the 100-lap feature to score a podium finish. Sunday, 51 awarded the Hal Goodson Award / Tested Tough Award to Logan Boyett, who managed to finish the 300-lap Snowball Derby with the most torn-up racecar. Speed51 celebrates our 14th year of Derby coverage with our crew shot. Back row -from left to right: Kevin Ramsell, Tim Quievryn, Adam Mackey, Jordan St. Amant, Bruce Nuttleman, Derek Pernesiglio, Matt Dillner, Ted Baber, Clint Wiles, Angie Dillner, Bob Dillner, Matt Kentfield, Brandon Paul, Matt Prieur. Each day during the Snowball Derby week, Speed51.com awards the "Cool Under Pressure Award" presented by FLUIDYNE. The daily award goes to a driver who stayed composed when the goings got tough at some point during the Snowball event. This will be a special two-day award for both Saturday and Sunday. Saturday's Cool Under Pressure driver was Dillon Oliver. Oliver overcame a near-disastrous penalty in Snowflake 100 qualifying to post a fifth-place finish. Oliver's crew violated the pit road impound procedure and his time was initially disallowed, but that penalty was rescinded when rains came and allow all other teams to approach their cars. Oliver kept the positive mojo going for a top-five run in the 100-lap Pro Late Model Snowflake 100 later in the night. Snowball Derby Sunday's Cool Under Pressure driver was Derek Thorn. Thorn had nothing but bad luck in previous editions of his Snowball Derbies past, but this one went more according to plan. The California driver turned heads and kept his car on all four wheels - unlike a few years back - en route to an impressive second-place finish. For their "Cool Under Pressure" moments, Dillon Oliver (Saturday) and Derek Thorn (Sunday) are this weekend's product certificate winners from FLUIDYNE. Comment From Great to see Nemechek Win! 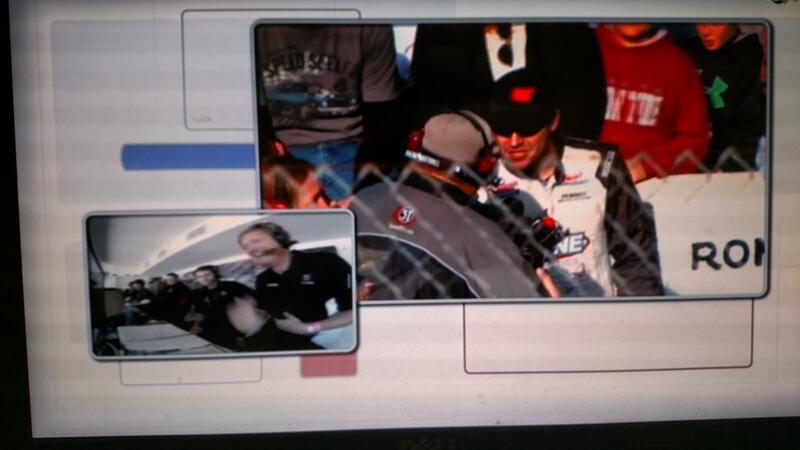 Great to see Nemechek won!! 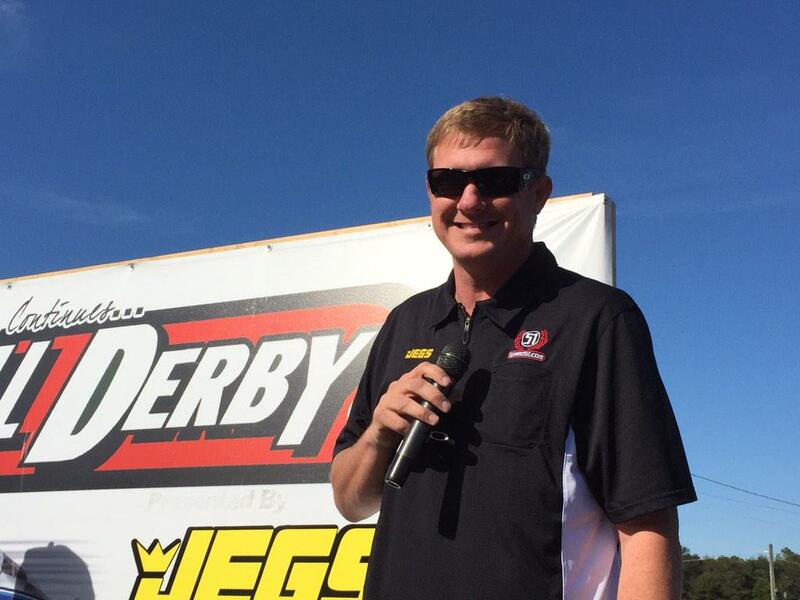 TECH UPDATE: John Hunter Nemechek has cleared tech and the 2014 Snowball Derby results are official. The average age of the Snowball Derby winner since the last Augie Grill victory is 21.6 years old. According to a crew member from Kraus' team, Ricky Brooks suspicion centered around an exhaust system brand that Brooks had never seen before. He wanted to double check it for performance implications. Tech officials are looking over wiring, checking for tungsten, and taking fuel samples as part of their process tonight. Each of the top-four finishers scored their best Snowball finishes. Fifth place Grant Enfinger scored 5 top-tens in the last 6 Derbys. John Hunter Nemechek's victory today, should it be held through tech, was his first Super Late Model victory. He had won the Southern Super Series opener at Nashville, but was thrown out by the one and same Ricky Brooks in tech. Joe Nemechek told us this was a brand new Hamke chassis and their first race weekend with the car. Turns out it was a pretty good piece. We are still waiting on tech to clear. Chief technical inspector Ricky Brooks is following up on what he called a 'suspicion'. why are they calling 16th and 19th to tech? 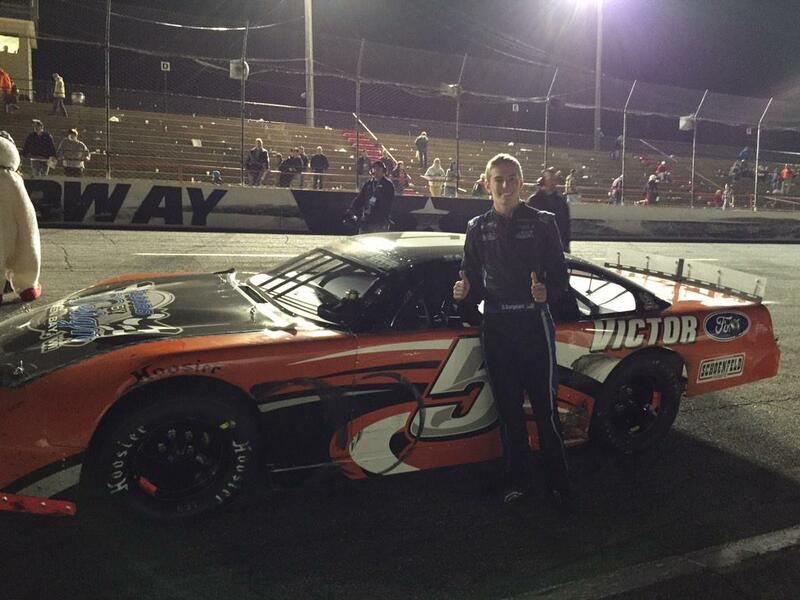 Congrats to John Hunter Nemechek win at Snowball Derby! Thank you guys. Money well spent. Speed 51 rocks!!! We will be here with you on Trackside Now through technical inspection. We will post unofficial results shortly. John Hunter Nemechek wins the 47th Snowball Derby over Dalton Sargeant, Derek Thorn, Hunter Robbins, and Grant Enfinger. Nemechek gets a great start and leads the field heading to the white flag. Order with two green flag laps remaining: Nemechek, Sargeant, Thorn, Enfinger, Robbins, Nasse. Tires could come into play. Front three pitted for two tires during their last pit stop while Enfinger and Nasse stopped for four. YELLOW FLAG: Hemric goes around and Wilson makes heavy contact. Two green flag laps remain. Nemechek gets the edge on the restart. Sargeant under Thorn for second. When race resumes order will be Nemechek, Thorn, Sargeant, Enfinger, and Nasse. Hemric pits. Grill is still on the lead lap, but there is a good chance there will be a new Snowball Derby winner. 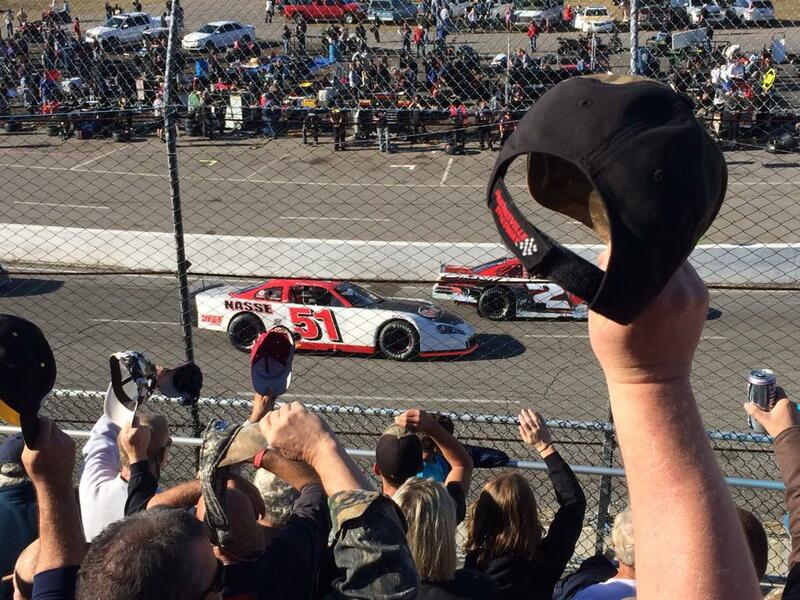 We are now guaranteed a new Snowball Derby winner as there are 3 green-flag laps to go. YELLOW FLAG: Grill and Jones around in turn two the next lap. Jones is out of the car. Three green flag laps remain. Nemechek pulls low to go three wide into turns one and two and gets the lead. Jones gets shuffled back. One to go at the line. We are past lap 300, but five green flag laps remain. Leaders all pit. Augie Grill and Erik Jones stay out and will lead the field to green. Nemechek, Hemric, Thorn, and Sargeant will line up behind them. YELLOW FLAG: Johanna Long and Preston Peltier spin toward the inside frontstretch wall. Five green flag laps to go. Choquette is slow and holds up Robbins as he tries to track down leader Nemechek. 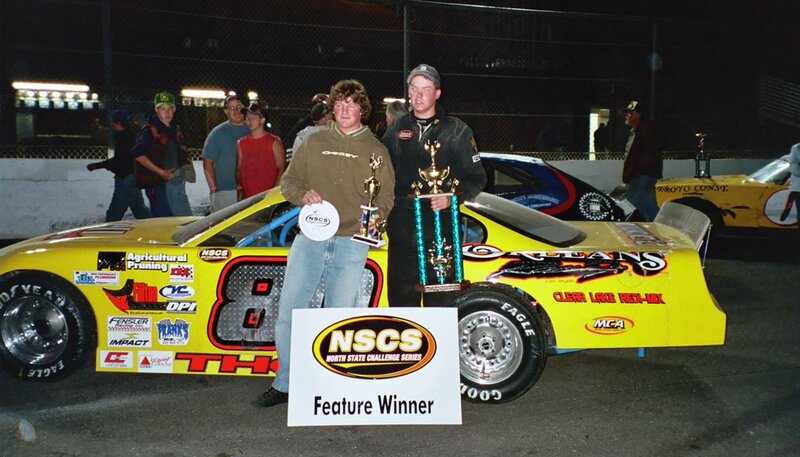 Up to this day, Nemechek has still never won a Super Late Model race. 10 laps to go. Nemechek leads, Robbins, Hemric, Sargeant, Thorn. Nemechek to the lead as they complete lap 286. 15 laps to go. Jones is the next car in danger of going a lap down in 12th, but is maintaining a decent gap in front of the leaders. Nemechek is right there with Robbins as they work through lapped traffic. Jones starting to pick up positions. Up to 12th. 30 laps remain. Robbins continues to lead. 30-time Snowball Derby starter David Rogers came down pit road for a vibration. Derek Thorn has cracked the top five. 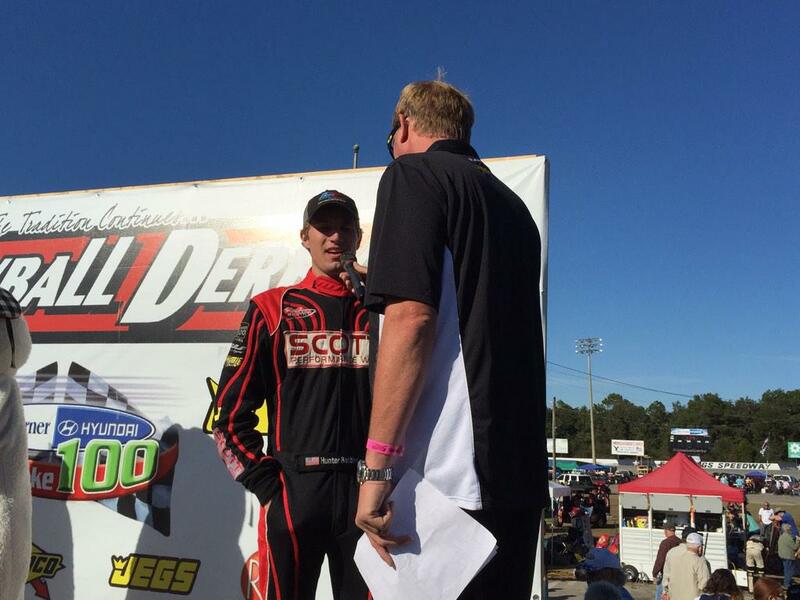 Dalton Sargeant continues to have a stellar run in fourth in his first Snowball Derby start. Nemechek is slowly reeling in on Robbins. Hemric rides in third. Prunty heads to pit road. The Wisconsin driver had been running in the top 10. Leading teams are reporting they are good on fuel. Robbins has pulled away from Nemechek and Hemric. Thorn all over the back of Choquette and pulls inside for sixth. Jones has not made up any ground so far in this green flag run. Chase Elliott is on pit road with overheating issues. Hunter Robbins rockets to the lead on lap 229. John Hunter Nemechek to the lead on the restart. Sargeant under Enfinger for second. Eliott and Jones are both back out on the track for the green flag. It has been clarified that Jones actually has a broken rear end. Since these laps are not counting, if they get it fixed they will line up at the end of the lead lap. Thanks Bob dillner and the speed 51 crew for the hard work you have done a stellar job!!!! When the race resumes order will be Enfinger, Nemechek, Robbins, Sargeant, and Hemric. Still 80 laps to go. Since a lap was not complete, we remain with caution laps not counting. Drivers on pit road are not losing a lap. Chase Elliott with significant damage to the front end. Boyett also with damage and Wilson in the wall. All cars continue. YELLOW FLAG: Jones has a tire down on the restart. Enfinger and Nemechek get by, but Jones loses control between turns one and two. 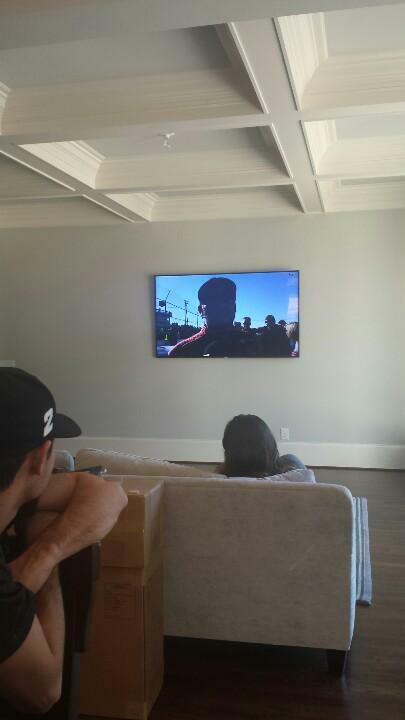 cheering for both of the Crooks Racing cars, go get em boys, lots of time left! I would like to see Augie grill and Jeff choquette lock horns for the last 20 laps and settle this thing!!! West coasters are rooting for Derek Thorn. Go get them buddy. These caution laps after the red flag do not count. Order will be Jones, Enfinger, Nemechek, Robbins, and Sargeant when the race returns to green. I'm ok everyone. Thank you for the tweets. Just a bad day. Johanna Long's car stalls coming off pit road, but gets it re-fired just before the pace car goes by. Next time by Johanna Long and Augie Grill head down pit road. Engines are firing back to yellow flag conditions. Pits are open and Grissom, Nasse, and Smith take advantage. Just a reminder, if you are having issues with your feed please try to clear your cache, close your browser & then relaunch & try again. Could also try in another browser. We recommend Chrome first. Kyle Grissom is going to take this one HOME! We remain under red flag for clean up. Hope Chase Elliott pulls it off!! Top five with 80 laps remaining is Erik Jones, Grant Enfinger, John Hunter Nemechek, Hunter Robbins, and Dalton Sargeant. Race remains under red flag at lap 220. Fire has been extinguished, but a good amount of cleanup to go. 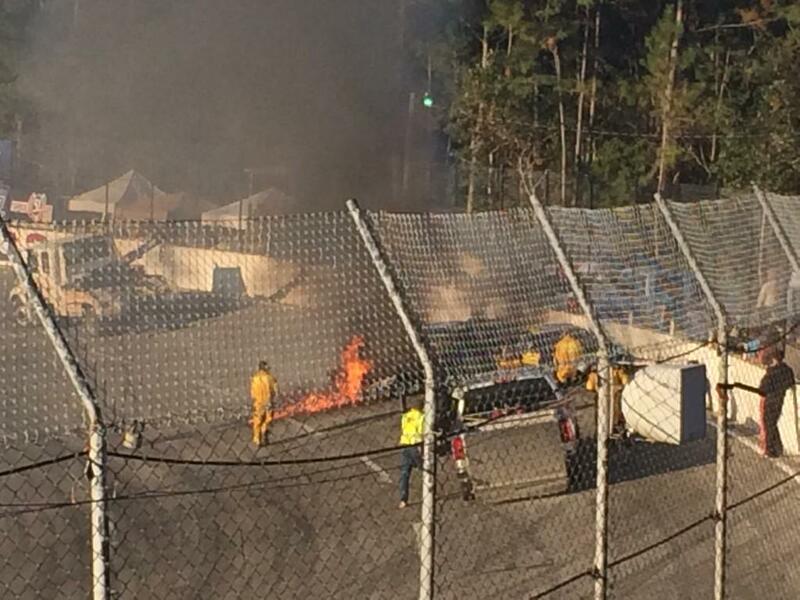 Man does Bubba Pollard have bad luck at the snowball derby! RED FLAG: Finley spins into turn two wall and collects Pollard. 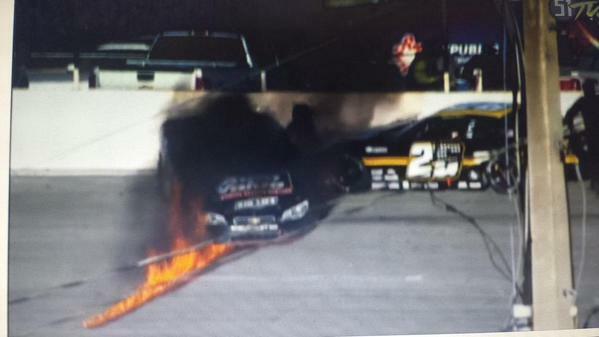 Finley's car catches fire, but both drivers are out of their cars. Jones and Enfinger are dead even at the line, but Jones pulls a car length ahead out of turn two. Heck yeah Jonesy!!! That's my boy! Gonna be a ol fashion civil war on wheels,short track shoot out,barn burner,aka" snow ball derby"uncle bob Harmon would be proud to see!!! VanderLey has pulled off the track and appears to be done for the day. 18 cars are on the lead lap. Clay Rogers is the free pass. Pollard, Wilson, and LaJoie to pit road. Plott has been on pit road with a possible mechanical issue. YELLOW FLAG: Donnie Wilson spins in turn three. Pollard is slow on the backstretch. Jones takes the lead on lap 203. Green flag with 100 laps remaining. Enfinger to the lead. Report is that Elliott's crew dropped a lug nut on their stop and will restart in 11th. Enfinger and Jones drag race off pit road. Sargeant, Thorn, Long, Nemechek, Pollard, Grissom, Hemric, and Smith follow. Pit road is expected to be full of traffic. 193 laps are complete. This was the fourth caution of the day. YELLOW FLAG: this is a competition caution, which takes place when competitors have run 75 straight green flag laps. Chase Elliott and John Hunter Nemechek are putting on a show navigating through lapped traffic. Donnie Wilson just passed Chase Elliott, but remains five laps down. 19 cars are on the lead lap. Grant Enfinger has made a remarkable run up to fourth from the 29th starting position. 165 laps complete. Elliott took the lead on lap 153. 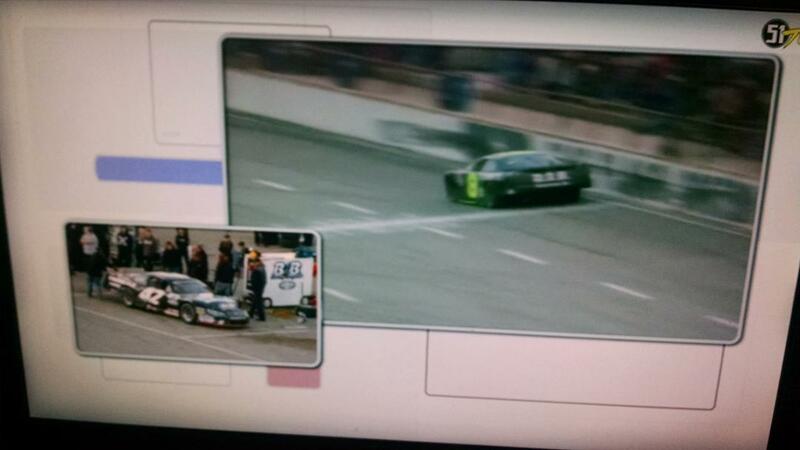 Nemechek came back to bid for the lead, but Elliott has pulled a car length away. Donnie Wilson went into the pits under green with a slow leak in the left rear tire. Chase Elliott has taken the lead at the line from John Hunter Nemechek. Bowen is managing to keep up despite being on older tires. Currently hanging on in sixth. Hemric and Elliott are challenging Nemechek for the lead. Lap leaders in this race so far have been Johanna Long, Daniel Hemric, Anderson Bowen, and John Hunter Nemechek. It takes more than a lap, but Nemechek maneuvers his way to the lead past Bowen. Ellis and Bowen did not pit. They will lead the field to green. Busy pit road during the first round of stops (Speed51.com photo). Jones, first out of the pits on fresh tires, is trying to do something that has never been done: Win 3 consecutive Snowball Derby-s.
No, 300 laps straight through with live pit stops. Several issues on pit road. Peltier comes out with gas can attached, Finley tire problem, and Wilson with left rear issue. Also, Griffin being towed back to the pit area. Jones, Nemechek, Enfinger, Hemric, Long, Elliott Sargeant, Pollard, Thorn, Choquette, and Grill in that order off of pit road. Pit stops for the entire field are expected. YELLOW FLAG: Augie Grill goes around coming out of turn four. Hunter Robbins also spins. Battle for 14th between Dalton Sargeant and Dennis Prunty, who have both quietly moved through the field. Hemric puts a lap on Garrett Jones, who made contact with the inside turn one wall under green earlier. Meanwhile, Elliott passes Choquette for fourth. Grill is pressuring Nemechek for second place. 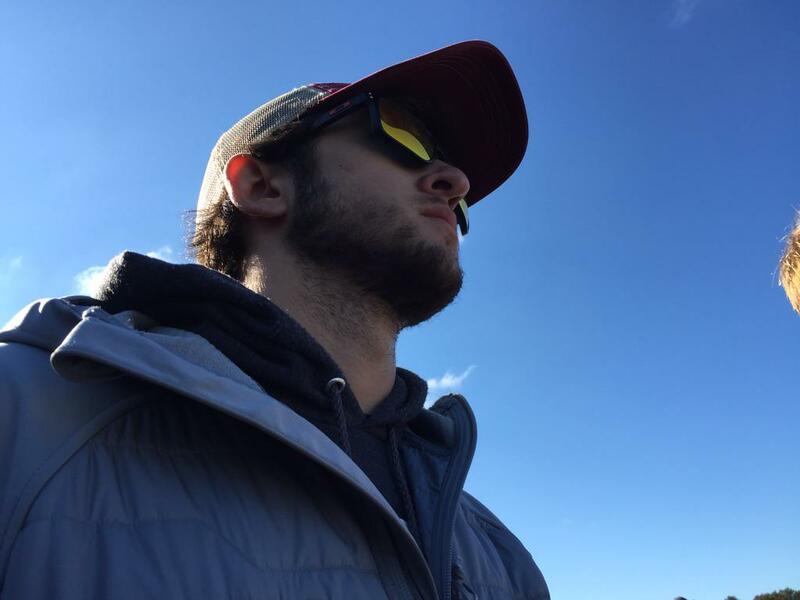 Ty Majeski is currently knocking on the door for a top 20 position after transfer through the last chance race yesterday. Former Snowball Derby winners Erik Jones and Chase Elliott on their way toward the front. Fifth and seventh. Nemechek advances to second ont he start as Grill and Choquette follow. Long back to fifth at the line. No takers among the leaders on pit road. Hemric will lead Long, Nemechek, Choquette, and Grill to green. Please try to clear your cache, close your browser & then relaunch & try again. Could also try in another browser. We recommend Chrome first. 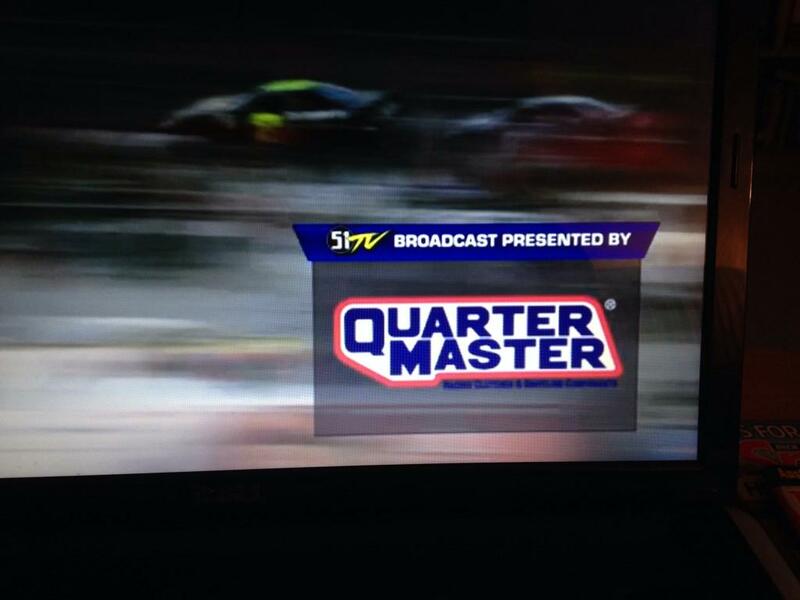 We understand that most viewers are able to see the 51 TV stream, but some are having issues. If you have emailed [email protected] they are working on it. Yes, caution laps count. However, only the last ten green flag laps will count. Kenseth joins Garvey behind the wall. YELLOW FLAG: Ross Kenseth is slow on the frontstretch. Daniel Hemric takes the lead on lap 60 navigating lapped traffic. Bubba Poillard has climbed into the top 10. Hemric closing in on Nemechek for the runner up spot. Ellis has fallen back to 21st. Choquette has cracked the top five. Hemric making a pass for third as the field completes lap 35. Long has stretched out the lead over Nemechek, Grill, Hemric, and Robbins 32 laps in. Green flag is back out. Nemechek stays with Long throughout the first two turns, but Long pulls ahead. We've seen a number of reports that the broadcoast is not working properly for a few users. We believe the broadcast may have had a brief blip, please refresh your browser and you should have it. First caution is out. Mike Garvey and T.J. Reaid involved in turn two. From Florida's Big Bend here...wanting a top 5 of Johanna Long, Brian Hoar, Jeff Choquette, Corey LaJoie and Daniel Hemric. Johanna Long has opened up an advantage on Nemechek, Robbins, Grill, and Hemric five laps in. Green flag is out. 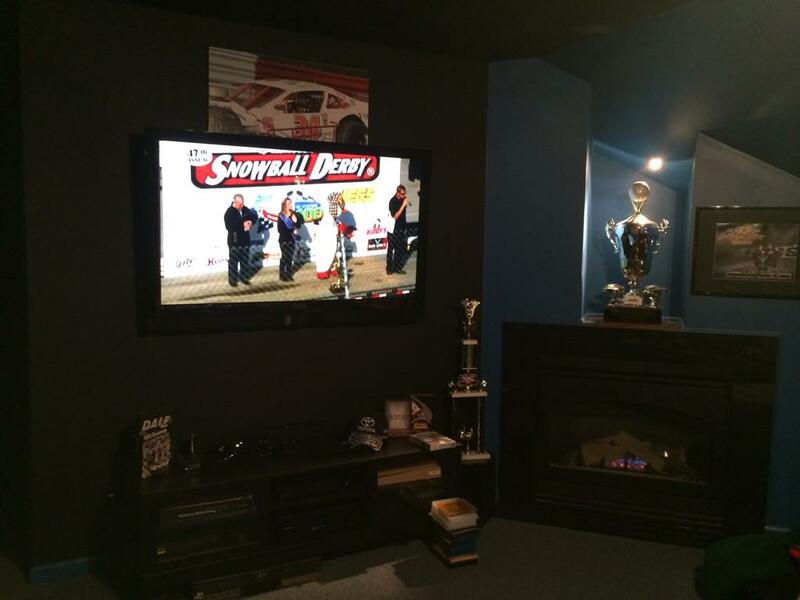 The 47th Annual Snowball Derby is underway. Johanna Long leads lap one. Tuning in from MS Go Kyle Grissom # 31!!!! good luck fellow hoosier derrick griffin..bring it north ! Good luck to Dennis Prunty! Go get 'em all Johanna Long! If you have any technical questions regarding today's broadcast or are having issues getting the feed properly ideally on your computer, contact [email protected]. We have two technical gurus staffing that during today's broadcast. Drivers are strapping into the cars. 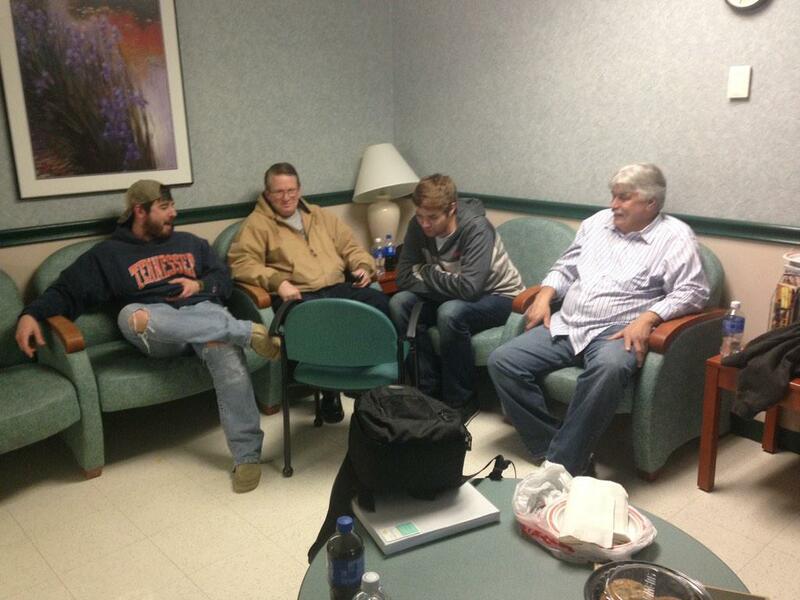 Good Luck to all!Pulling for Bubba,Stephen and Preston today! Invocation and national anthem are about to take place. 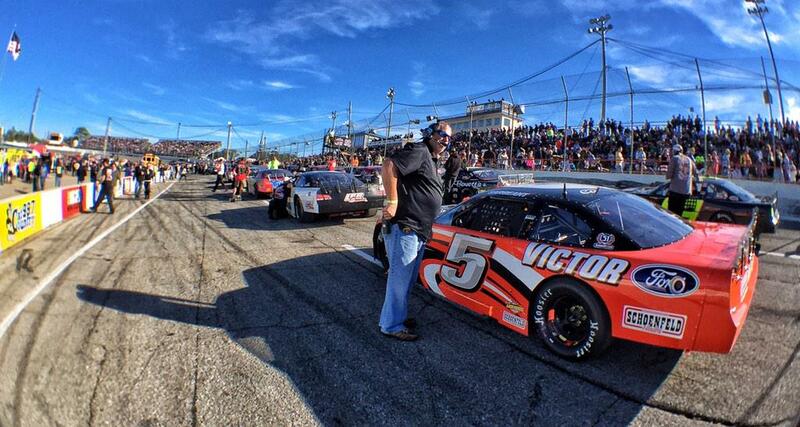 We are only 15 minutes until the start of the Snowball Derby. Pre-race festivities continue. 11 states are represented in the Derby today. 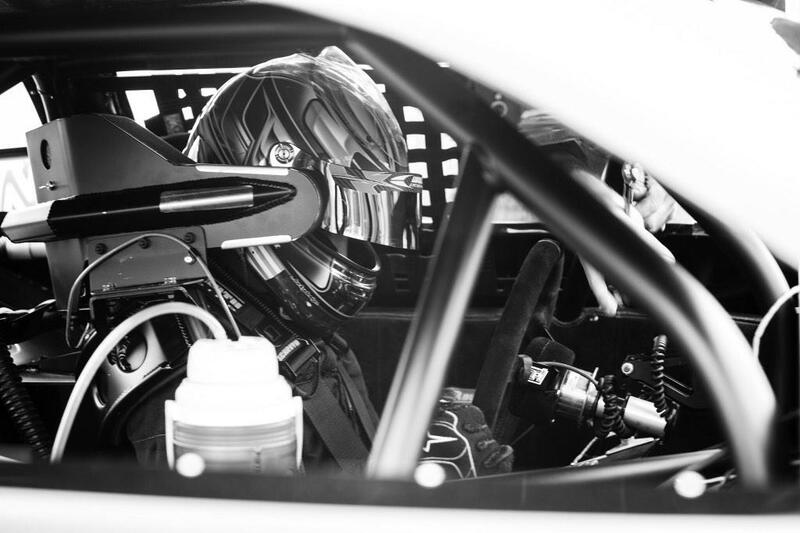 When Hoar takes the green flag, he will become the first driver from Vermont to ever start the Snowball Derby. Watching #4 Kyle Plott, he raced his way into the MB400 2 weeks ago, he raced his way into the Snowball this weekend, he's starting 33rd today! If Johanna Long wins it will be her second Snowball Derby victory, and if 2010 was any indication it will be a big hit with the hometown crowd. 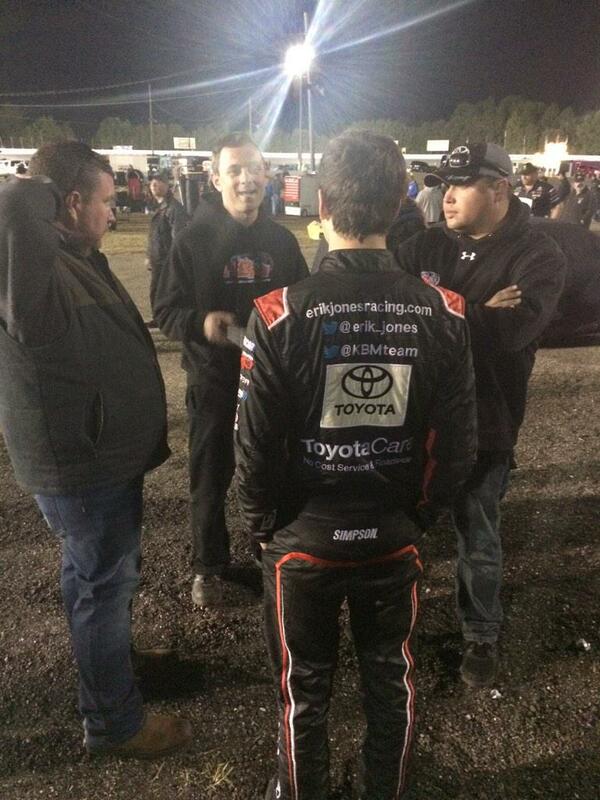 Top 5 starters are being introduced, drawing even closer to the start of the 47th annual Snowball Derby. Good Luck TM Ranch #11, David Rogers!! Almost every practice session had a different driver with the fastest speed, and the top 30 qualifiers were separated by only 0.224 seconds. Good luck to all the Wisconsin boys. Kraus, Prunty, and Majeski! The crowd fills in as driver introductions take place (Speed51.com photo). Driver intros continue. We are into the top 20 starters. Corey "Supershoe" LaJoie speaks with 51 TV's Bob Dillner during driver introductions (Speed51.com photo). The Snowflake 100 concluded at 4:11a.m. central time. It was certainly a late night for everyone in attendance. So what time did the Snowflake finish? I left at the end of Trackside. Today is a 16-tire race. That means teams will start with 4 tires on their car (hopefully) and then have 12 tires - in other words, 3 complete sets - to change on their cars at any point during today's race. 24 99 Taras Hodivsky Jr. Comment From Go Ross!! Put a bow on the Ugly Sweater with a win today! Go Ross!! Put a bow on the Ugly Sweater with a win today!! Just woke up after working the night shift gonna enjoy some more short track racing at its finest thanks speed 51 for the coverage! 51 TV's Jana Wimmer catches up with John Hunter Nemechek during the pre-race show (Speed51.comphoto). Travis Braden was DQed after winning last night's Last Chance race. Left side weight was 58.1% where the limit was 58%. "It was just an error on our part to be honest. New car and we never thought to check how much left side weight we gained after fuel burnoff. Our other cars don't gain. Needless to say, our fuel cell will never be in that location again." Currently the 37 drivers that made the field are lining up for the annual Snowball Derby class photo. It was a tough spot for the track. 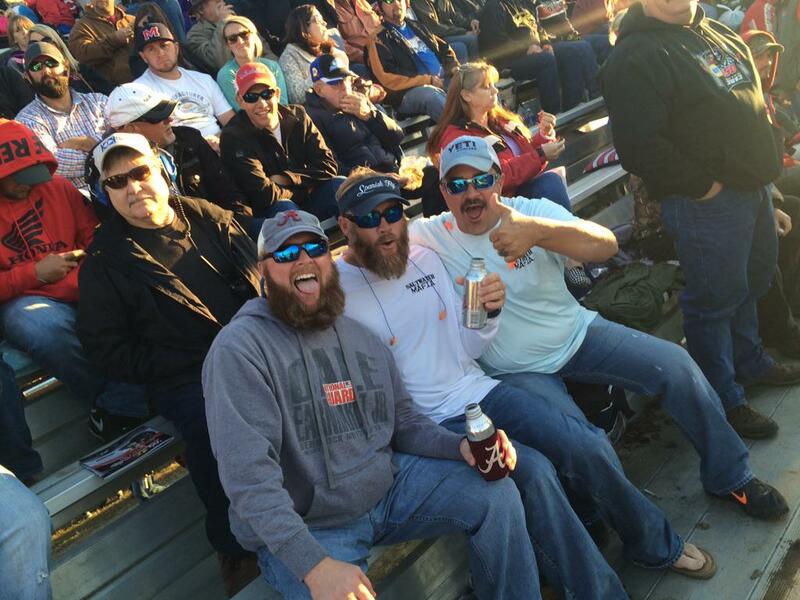 A lot of logistics go into the Snowball Derby and while there were contingenices, trying to get the races in last night was the best of all options for the fans in attendance and the teams. Was there any reason the track didn't move the Snowflake race to today instead of racing all night? If you are experiencing any difficulties with 51 TV, please try refreshing and clearing cache on your browser or contact [email protected]. 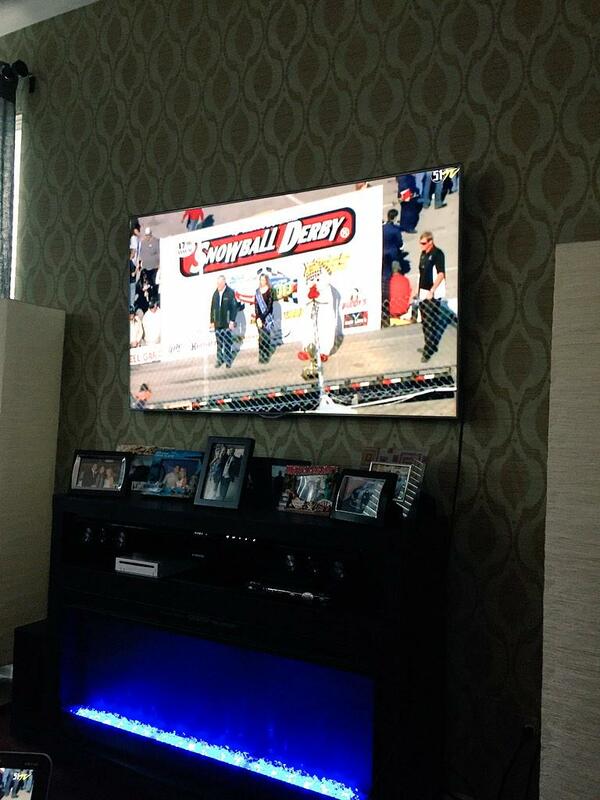 Great great coverage on Speed51/TV, what a day testerday !!!!! Thank You Bob and crew !!! The class photo will be taken in five minutes. Cars are being staged onto the frontstretch, and drivers are gathering around throughout the pit area less than two hours from today's green flag. Welcome to the 47th Annual Snowball Derby (Speed51.com photo). Green flag is schedule for 2p.m. CT. Speed51.com's Trackside Now will have lighter coverage this afternoon as we are live with PPV of the 47th Annual Snowball Derby. The cars are staged in the infield ahead of the 47th Annual Snowball Derby (Speed51.com photo). It’s a beautiful and sunny day, although the temperature has slightly dropped and a breeze has come through after yesterday’s showers that delayed Saturday’s racing action into the early hours of the night. Good afternoon and welcome to Five Flags Speedway in Pensacola, Florida. 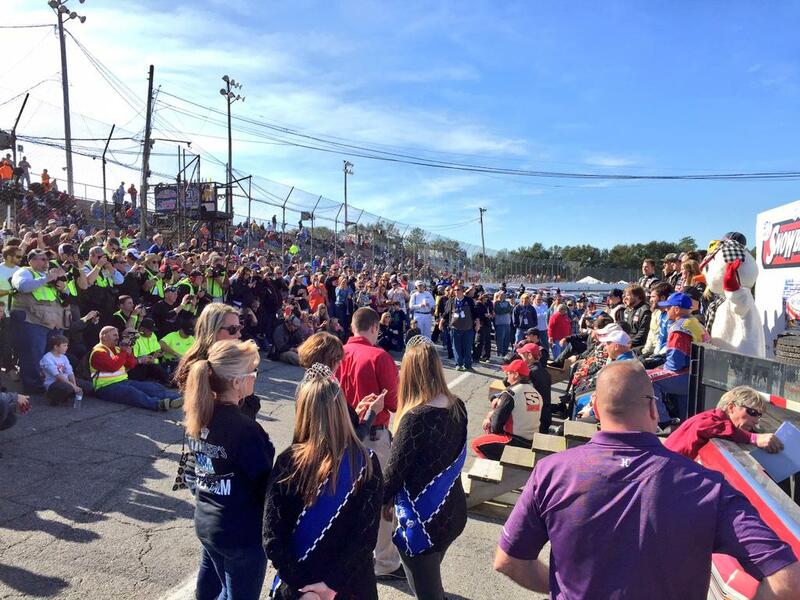 Today is the biggest day of the year for 37 Super Late Model drivers for the 47th running of the Snowball Derby.